This is the most complete collection in India, which can compete according to its content only with the collection of the Museum of Lahore in Pakistan. 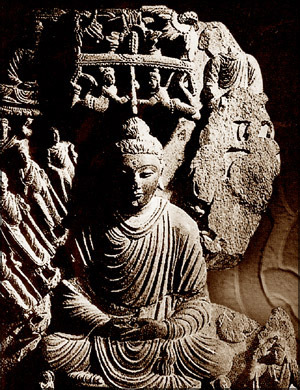 The north-western region of India and part of what is now called Pakistan and Afghanistan in the first century AD were known as Gandhara. In the era of the conquests of Alexander the Great, the area experienced the Greek influence, and later, with the strengthening of trade relations with the Roman Empire, the influence of the Romans. On the territory of Gandhara appeared numerous princedoms and great cities which flourished thanks to the trade development. 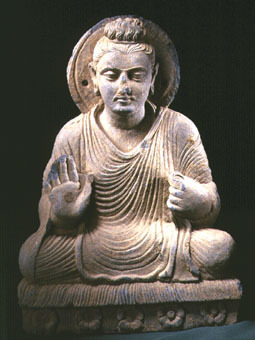 The famous Buddhist university at that time, Taxila, attracted the Buddhist scholars from China and other countries of the Far East, as well as from Asia. Excavations in Taxila and adjacent areas opened to our eyes the splendor stupas, statues, coins and other valuables, each of which bears a greater or lesser degree of Roman or Greek influence. 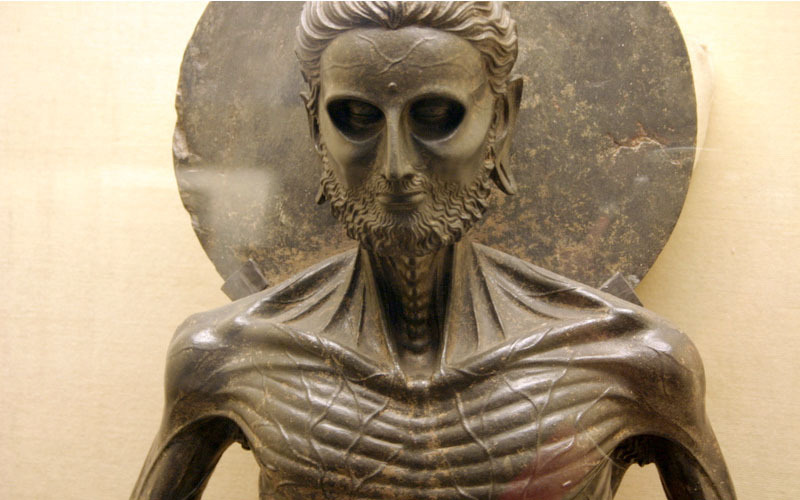 Over the past few years among art historians has spread many conflicting opinions about the question of whether the first anthropomorphic images of Buddha were the result of Greco-Roman influence. To date, studies have shown that the Buddha statues appeared in different regions of India at about the same time with the sculpture of Gandhara. Statues of wood, terracotta, stone and even metal were created by Indian artists for centuries, and it was not their first attempt at figurative sculpture. But what is truly interesting in the period of the masters of Mahayana Buddhism, is the embodiment of the Buddha, which can transmit the power and clarity of the mind in meditation. Early sculptures suggest that the artist had a lot to experiment with facial expressions, attire and postures of the Buddha, whose face is sometimes smiling. 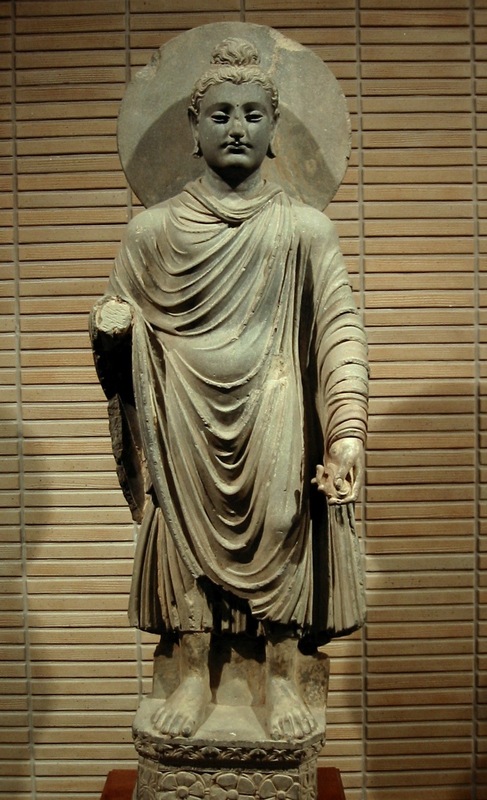 Some of the statues in the gallery have been transferred to the Museum by General Cunningham, they belong to the period of Mahayana Buddhism, when it became possible to depict the Buddha in human form. Here there are also some votive stupas, donated by devotees to the holy shrine. With these votive stupas, many of which are signed, the historians have had the opportunity to create a more clear idea about the patrons of Buddhism. It was found that a large number of traders have so many followers of the new religion of the time, and their wealth has contributed to its development and penetration into other parts of Asia. Since there were stupas near trade routes, semicircular Indian stupa began to increase in height until it took the form of a high towers, some of which can still be seen in the Far East.